Windows Media Player is a terrific player for PCs. This is not only because it is preinstalled on Windows system, but also because it has a lot of wonderful features that can't be found elsewhere. Take the latest WMP 12 for example, it supports more media formats including AVI, MOV, DivX, Xvid, AAC, 3GP, AVCHD, WMV, WMA and so on. Besides, it also added the "Play To" feature which allows you to stream music and video to other compatible devices such as Xbox One/360, PlayStation, etc. But what about the DRM music files? As I know, Apple Music are limited to play on iTunes and the music app only. 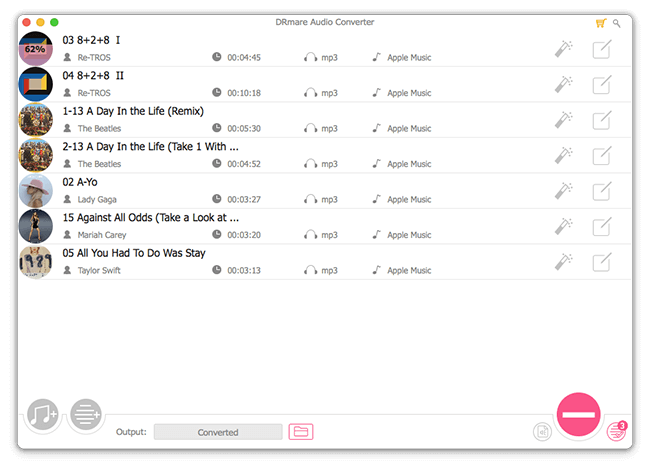 Is there a way to import Apple Music to Windows Media Player? Don't hurry. Here we will covered all these topics for you in this post. When it comes to Apple Music and iTunes music, many users are confused about them because they have too many aspects in common. They are offered by Apple and mainly played on iTunes. But if you take a further look at it, you will find iTunes music are much more expensive than Apple Music while it has the advantage to play on any players any devices freely. 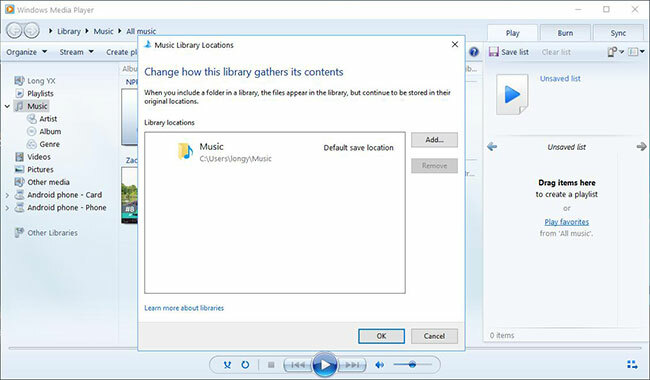 If you have created a playlist of iTunes songs, you can follow these steps to load them to Windows Media Player library. Step 1. Locate the songs. You can right click one the songs of the playlist and then choose "Show in Windows Explorer". Step 2. 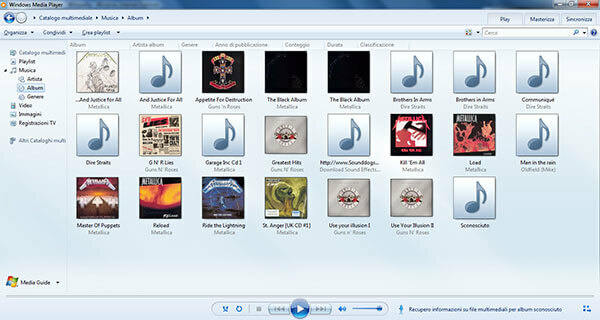 Copy all the songs which you want to move to Windows Media Player. Step 3. Then you can go ahead to copy the iTunes songs to the default folder folder on your Windows computer. If you want to use another folder, you can also open Windows Media Player > Click "Organize" > Click "Music" > on the popup window, you can click "Add" button to add a new folder. Step 4. Your music will show on your WMP and you can start to play them. For Apple Music, even if you copy them to the same music folder, they just won't be recognized by Windows Media Player due to the FairPlay DRM encryption. Undoubtedly this is inconvenient. Thanks to the newly developed technology, now it is easy to remove DRM from the encrypted music within a few clicks. And it is completely legal as long as you use it for personal only. So what Apple Music DRM removal tool do you need? Frankly speaking, you can use any DRM converters in the market. But not all the tools are created the same. Some are too complicated to use, some are too expensive an some don't have enough features. 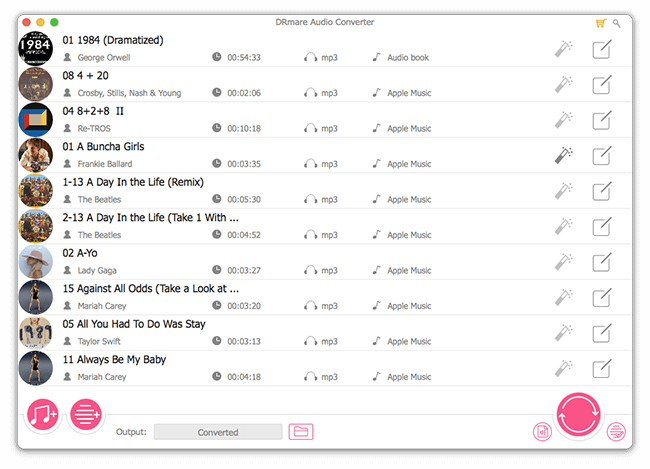 If you haven't got an overall satisfied tool, you should definitely give the DRM Apple Music Playlist Converter for Mac/Windows a try. It is produced by the cutting-edge company called DRmare. It is at a reasonable price for a lifetime use while having ultimate performance. Now let me show you how to use DRmare software to break the DRM protection so that you can play Apple Music on any other popular players such as Windows Media Player, VLC, KMPlayer, RealPlayer and much more. Please download the Apple Music media files onto your computer and authorize them to play first. After that, you can launch the DRmare software and drag & drop them to the DRmare main screen. 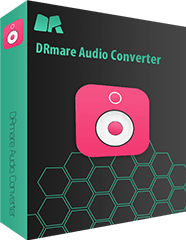 DRmare supports 6 most popular formats MP3, M4A, AAC, FLAC, WAV, M4B. You won't be wrong by selecting any format you want. They should play well on Windows Media Player 12. Even if you get some formats files with special codec, WMP will be able to search and download the related codec automatically. You can do any tweaks you want. When the settings are prepared as you want, you can simply tap the "Convert" button from the bottom right. 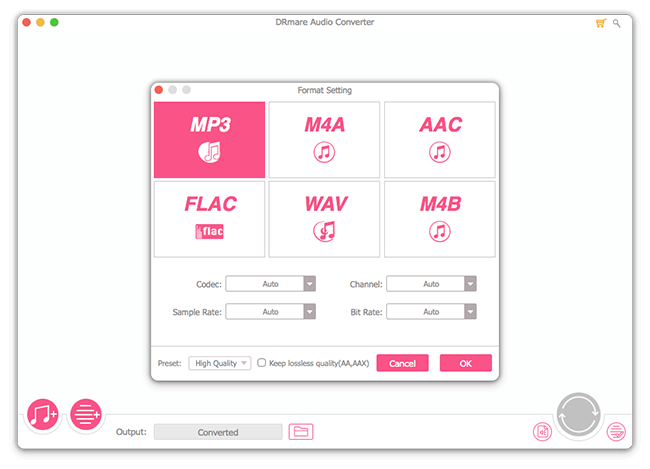 The files will start to be turned to new audio format without any limitations. You are almost done. Please just copy the converted files to the music folder on your Windows computer, they will show up on Windows Media Player. You can then manage them and play Apple Music without iTunes. Another way to import songs to WMP is to drag & drop the audio tracks from folder to the main screen of Windows Media Player. Do you find this tutorial helpful? Let's know if you still have and questions by commenting below, we will provide you further assistance.